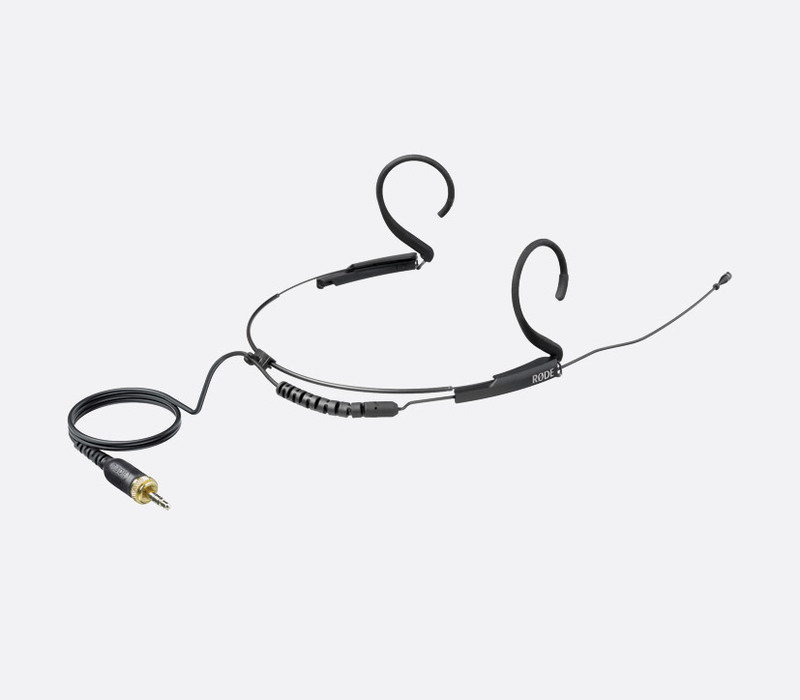 Rode headset microphones are designed for broadcast, house of worship, presentation or stage performance. Available in a variety of size and colour options these lightweight headworn mics have a ‘comfortable fit’ with ‘minimal appearance’. 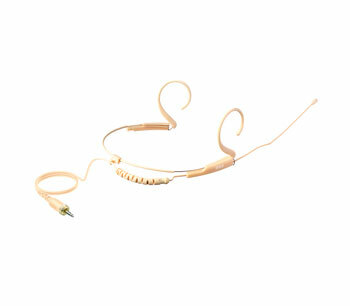 This omni-directional headset microphone is available in large and small sizes with options of pink or black colour. The stainless steel manufactured adjustable and corrosion resistant boom and headband aid an ergonomic fit whilst hypoallergenic silicone ear strips increase comfort for longer periods of use. 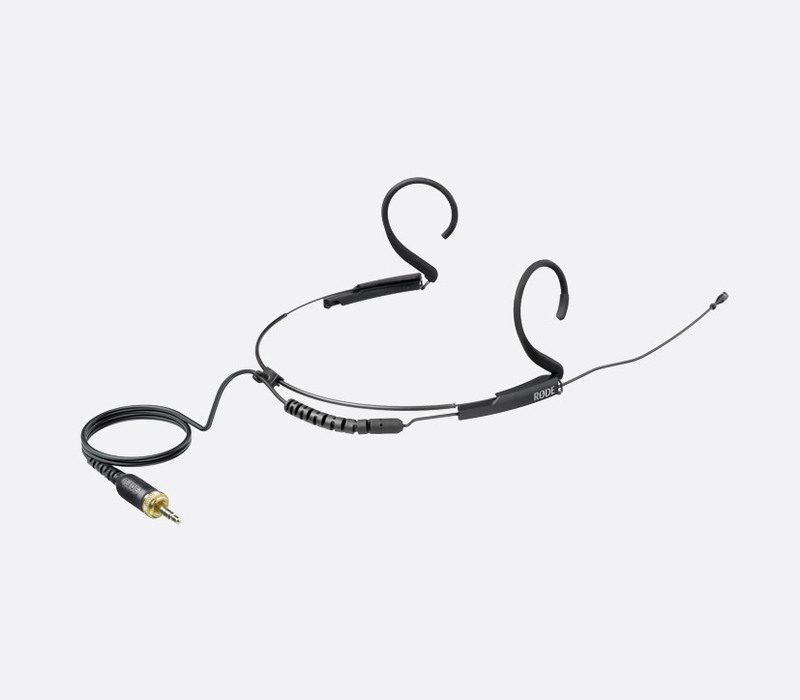 The condenser microphone capsule is positioned at the end of a boom mic arm that is removable and can be placed on either left or right side of the headband depending on the user’s preference. A 1.2m fixed, Kevlar reinforced cable terminates in gold plated 3.5mm TRS jack connector with removable locking nut. HS2 is compatible with the RODELINK FILMMAKER KIT and RODELINK NEWSSHOOTER KIT wireless systems and RODE RODELINK TX-BELT beltpack transmitter, along with many other wireless systems available from other manufacturers. Included accessories: Pop filter, Mini Furry wind filter, cable management clip. Optional accessories: WS-HS1 pop filter. Frequency range: 60Hz – 28kHz. Output impedance: 3000ohms. Maximum SPL: 122dB SPL. Sensitivity: -47.2dB, re 1V/Pascal, +/-2dB at 1kHz. Maximum output level: 189mV, at 1kHz 1% THD into 1Kohm load. Equivalent noise level: 36dBA. Weight: 20g. Dimensions (HxWxL): 50 x 124 x 205mm, large; 50 x 109 x 196mm, small.